TORONTO — Mobility will improve when fully automated vehicles arrive, but they create new problems. There will be more vehicles on the roads, they’ll be driving empty while looking for parking or passengers, and with computers that are safer drivers than humans, there will be reduced work opportunities for real, live people. The Automated Vehicles 2017 conference considered the issues. In the scale of autonomy, a Level 1 car would have cruise control and a Level 2 would have active cruise control and lane-departure assist. The highest level of all is 5, which would have no steering wheel and no driving input at all from the driver. For Level 5 vehicles, “it’s not tomorrow, it’s not 2020, it’s going to be beyond that,” said Grant Courville, senior director of product management for BlackBerry’s QNX Software Systems. “Level 5 is the goal, but here’s the risk with the other levels, say 4 and 3: the driver is expected to take over,” said Courville. “If I get to a point where I’m confident in my car driving itself, but I still have to be alert, to take over at any point in time, am I really going to be that alert? One of the biggest development challenges is government regulations that allow testing and development of autonomous technology. Local governments usually prefer to see what other communities do first before allowing such vehicles on their roads. 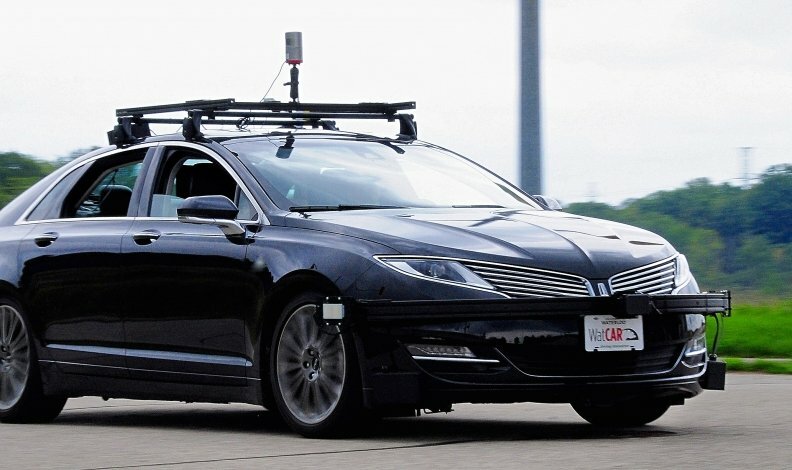 Winnipeg city council, for example, recently rejected a motion to consider regulations for autonomous vehicles, though both Stratford and Waterloo in Ontario have been proactive in that regard. Federal Minister of Transport Marc Garneau, however, pledged the support of the Canadian government, reminding the conference of the investments announced in the recent federal budget: $10.1 billion for transportation infrastructure in the next 11 years; a $1.26-billion five-year Strategic Innovation Fund; and $102.4 million for Ford Motor Company of Canada to help establish test centres in Ottawa, Waterloo and Oakville that will include self-driving cars. A convoy of three platooning trucks can also save up to 16 per cent of fuel by slipstreaming each other. This transportation Utopia is being closely watched by lawyers. “The issues around liabilities are unimaginable ... [and] we haven’t dealt with them yet,” said Michael Polowin, a partner with law firm Gowling WLG. Many people are already grappling with potential ethical issues. For example, said the University of Toronto’s Paul Hess, a recent survey showed that if people were crossing the road dangerously in front of an autonomous vehicle and it had the choice of hitting and killing either one person or many people, it should take the action that kills only one person. But if the choice was to kill the driver or the pedestrians, “the survey responded that the car should kill the driver; that’s the ethical thing to do.